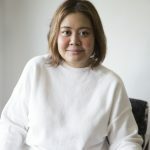 In Regina Tolentino Newport’s Coconut Kitchen, a compendium of recipes for the coconut enthusiast, she proposed an alternative to traditional adobo: beef coconut adobo. Now, for many people, adobo is a sacred dish—made sacrosanct with its key ingredients: vinegar, soy sauce, bay leaf and peppercorns. 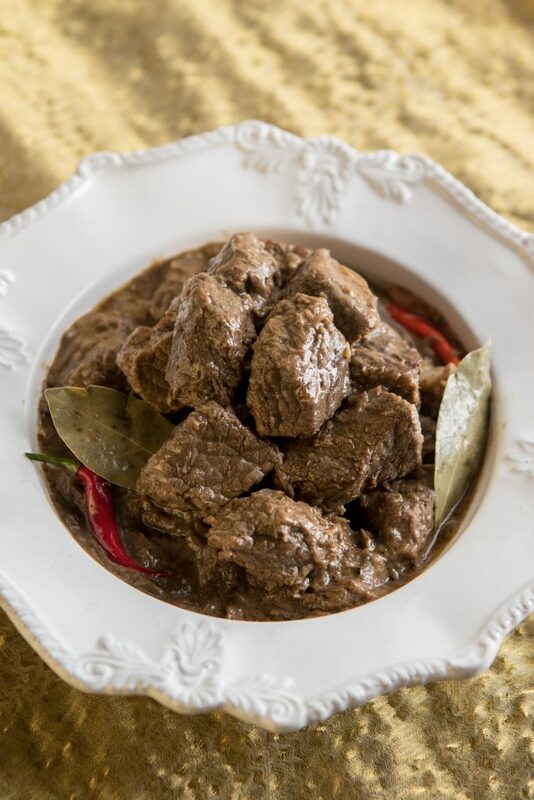 But Newport’s version, an adaptation of Amy Besa and Romy Dorotan’s Beef Short-Ribs Adobo recipe from Memories of Philippine Kitchens, includes chicken broth as well as coconut milk. 1. In a bowl, whisk together the coconut milk, chicken broth, vinegar, soy sauce, garlic, bay leaves and ground pepper. Set aside. 2. Pat dry the beef cubes with paper towels. Season with salt and pepper. 3. In a large heavy-bottomed pan, heat the oil until hot but not smoking. Brown the beef pieces on all sides, in batches. Do not crowd the pan, or the meat will exude its liquid. Return all the cooked meat to the pan. Pour the coconut milk mixture into the pan, making sure all the meat pieces are just covered by the mixture. 5. Set the oven to broil, and broil the meat for a few minutes just until nicely browned and starting to get crispy at the edges; watch that it does not burn. Transfer to a serving dish and pour the thickened sauce over the broiled meat, or serve the sauce on the side. Serve hot or warm.